Sometimes there's just nothing better than a shockingly bright pink. And in the case of OPI No Doubt About It, that's certainly what you get! I'm always a fan of neon pink nails, especially in the summertime. So the moment I unwrapped this nail polish from its packaging, it was love at first sight. 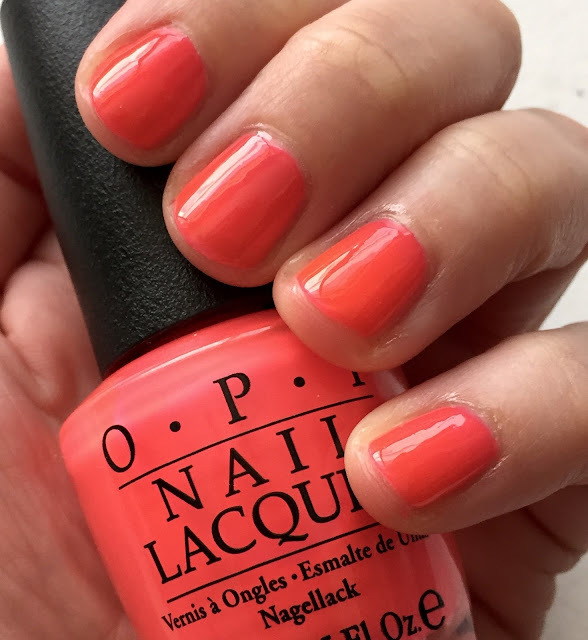 OPI No Doubt About It is one of the colors from the new Neons 2016 Collection, and to say it's neon is a definite understatement. This color is bright, it's bold, it's alarmingly pink. And I mean that in the absolute best way. It's one of those shades that makes me keep staring at my nails over and over and over and ... well, you get the point. Basically, my nails have been nonstop eye candy for me since I painted them over the weekend. The formula is interesting -- it's semi-matte and a bit rubbery, but a swipe of top coat turns it super glossy. I know some people have had issues with the formula being streaky or watery, but I found it to be extremely easy to apply. Two coats yielded basically opaque color -- I think a third would have made it completely opaque, but I don't mind a bit of the nail showing through. I also chose not to apply it over white polish, because I personally just don't like the way white underneath neon makes the color turn out. But if you're looking to pop the color a bit more, you could certainly try it that way. 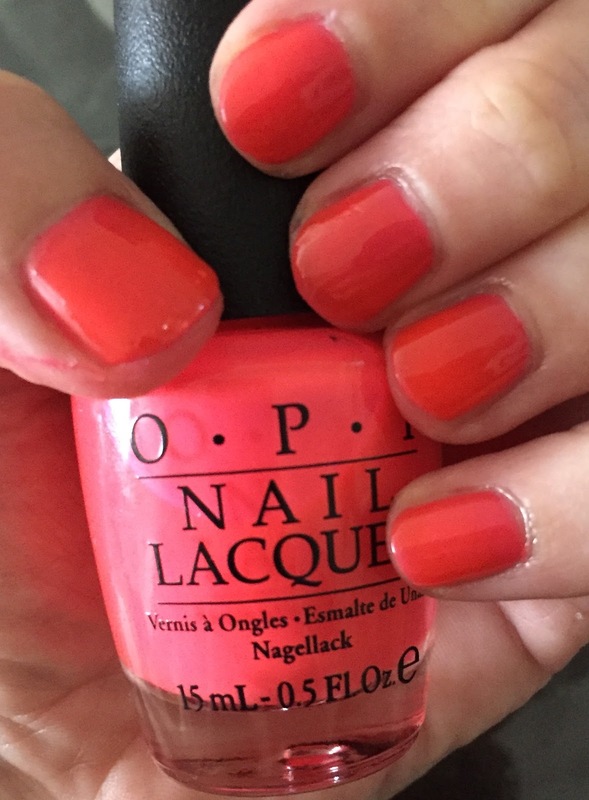 I know I live in Los Angeles, so it's basically eternal summer here, but I still like to cater to the actual summer months with my polish choices. And this is a great one! I'm not big into neons overall, but I love neon pinks and corals over the summer. This one is gorgeous! My nails are currently bare so I can swatch in a little bit. On my nail are essence the gel polish called "forgive me" topped with essence the gel called "space queen" and i really like the two colour combination, since the "space queen" are a glitter based polish that really knocks it off in the sun! What a gorgeous color! This is perfect for the season! I totally need this for the rest of summer! Gorgeous! What a super pretty color! What a stunner. I'm wearing SinfulShine Samba-dy To Love which is a fabulous deep purple. Love this color! I'm wearing OPI Tiaramisu for Two right now. Kinda boring compared to this. Love this color! It looks great on you! Love this shade! It reminds me of tropical cocktails. I love this shade to death. There's nothing like a blinding pink polish! I love how squishy it looks! Such a great pop of colour. I am such an OPI fan... I love this shade, it's gorgeous.